The Panama Canal celebrates its 100th anniversary in 2014, and what better way to witness one of the world’s most spectacular engineering feats than from the deck of Fred. 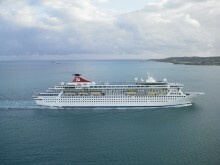 Olsen Cruise Lines’ flagship, Balmoral? Fred. 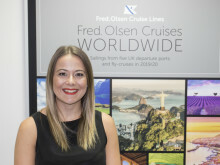 Olsen is offering guests the chance to commemorate the Canal’s centenary year in style with its 31-night L140141 ‘The Americas & Caribbean’ fly-cruise ex London Gatwick on 19th March 2014, into San Diego, USA. This exotic fly-cruise to the Americas and Caribbean is one of the sectors of Balmoral’s 104-night ‘World Cruise’, which departed from Southampton on 5th January 2014. Balmoral sets sail from San Diego, USA, and heads for Puerto Vallarta (Jalisco, Mexico). This ‘Pearl of the Pacific’ boasts golden beaches, mountains and jungles, and is an incredible place to explore. The cruise then heads for the world-famous beaches of Acapulco (Mexico), with its fearless cliff divers, before making its way to Puerto Quetzal, Guatemala’s largest Pacific Ocean port. Next is Puntarenas (Costa Rica), where guests can enjoy a tour of the surrounding countryside and beaches or, for the more adventurous, how about heading off on a crocodile safari? 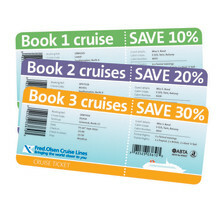 Balmoral then starts out on the ‘must-see’ highlight of this trip – a scenic cruise along the awe-inspiring Panama Canal. 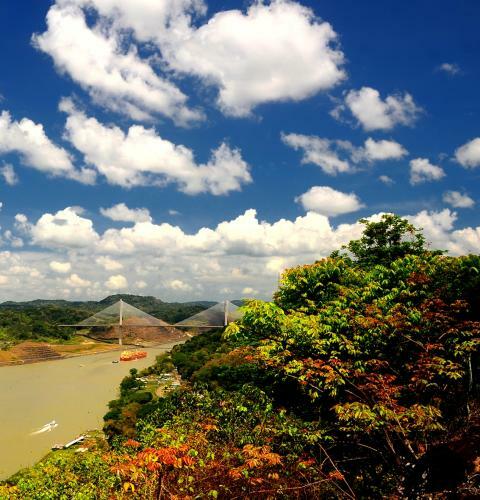 Listed in CNN’s rundown of ‘11 places to go in 2014’, Panama is a tiny, but diverse, country of volcanoes, rainforests, coffee plantations and beautiful beaches, on both the Atlantic and Pacific coasts, which is also home to one of the most important trade waterways on the globe. 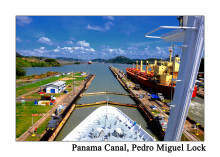 The ‘Big Ditch’, as the Panama Canal is known, lifts Balmoral with a fascinating system of mechanics, along the three great locks – ‘Gatun’, ‘Pedro Miguel’ and ‘Miraflores’ – aided by on-shore ‘mule’ locomotives, and exiting under the iconic ‘Bridge of the Americas’. Balmoral then continues to Caribbean, touring some of the most beautiful islands in the world. The first is Willemstad, on the island of Curaçao, with its rich Dutch ancestry, reaching back to the 16th Century. Then it is onto Bridgetown in Barbados, where guests can explore the capital’s heritage, landscape and St. Nicholas Abbey, one of only three genuine Jacobean mansions in the Western Hemisphere. The cruise then moves onto stunning Castries (St. Lucia), St. John’s (Antigua) and Philipsburg (St. Maarten), before reaching the final stop, Ponta Delgada on the Azores. This cosmopolitan town offers a mix of contemporary life and historic flavours, with its cobbled streets and monuments rubbing shoulders with modern marinas and fabulous shopping. Balmoral then takes a leisurely journey back to Southampton. Prices for this cruise start from £2,149 per person (with limited availability), based on two adults sharing a twin-bedded, Inside cabin, Grade ‘H’, and include accommodation, all meals and entertainment on board, airport/port dues, flight and transfers. Guests wishing to start their holiday early can book a pre-cruise extension in San Diego, giving them time to explore this attractive city at their own leisure. They can choose from a three-night ‘Premium Explorer’ stay at the Marriott Gaslamp Quarter Hotel (including bed and breakfast, and a city tour), for an additional £559 per twin cabin, or a shorter two-night ‘Standard Explorer’ break at the Hilton Harbour Island Hotel, for an additional £229 per twin cabin (including bed and breakfast). Fred. 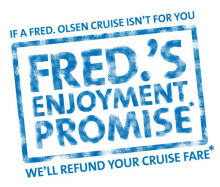 Olsen was delighted to be voted the second-highest UK cruise line in Which?’s 2013 Holiday Survey, with a score of 86%. Fred. Olsen has also received over 5,600 genuine, independent guest reviews via leading consumer website Feefo, of which 95% have rated it 'Excellent' or 'Good'.